Story on Carrie Atwood of the Sleeping Elf Lmtd. Carrie talks about her background as a miniaturist and how she became interested in BJDs and began to make her own. The gallery features numerous pictures of all her dolls, along with some of her paintings, miniature figures and animals. Custom House is planning a 50% off sale. Items will be limited in quantity. The Summer Sale starts on June 1st. Bambicrony has anounced that the Basic Marrchen 27 cm. 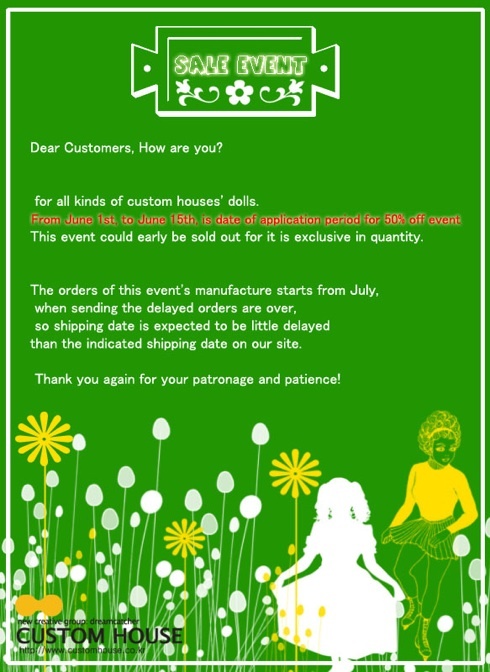 dolls will cease manufacture in June and will be replaced by new dolls in 2010. Dollmore has a new version of Model doll Mellow Cole, Dark Chocolate Mellow. The 68 cm. tall dark tan resin doll comes complete with face-up, eyes, wig, large bust part, and an outfit designed by Anotherspace. She is available in a limited Edition of 10. Fiber artist Michele Hardy also designs doll costumes and paints face-ups. Read the article on her HERE. Look at her work in the gallery HERE. 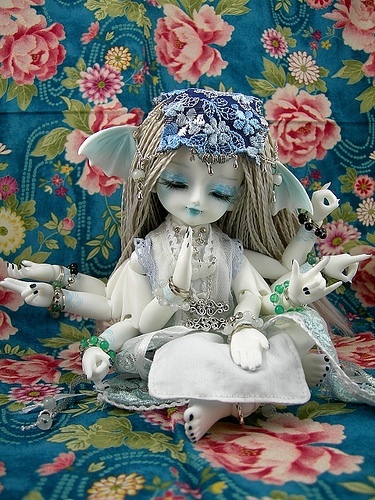 FairyGarden is releasing versions 9-12 of the multi-armed Near doll. The 24.5 cm. tall dolls are in white skin. Near comes with 2 multi-arm sets and optional single arms. He is sold blank with 3 eyes and random wig. 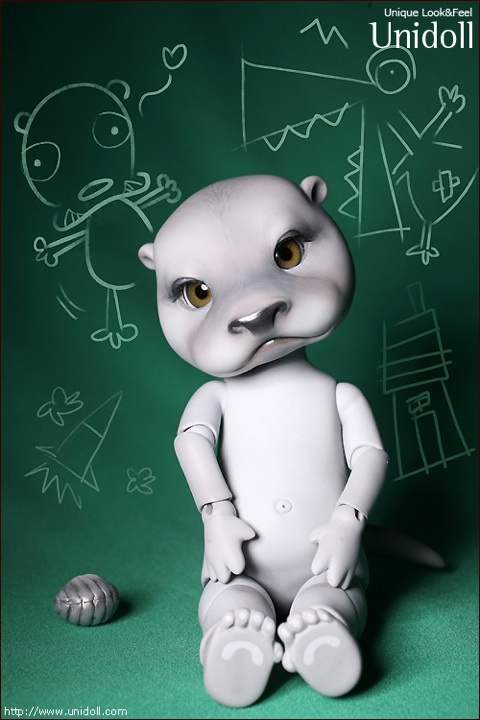 Face-up and clothing can be ordered separately. A new Limhwa doll will be released in June. He will be a limited Edition. 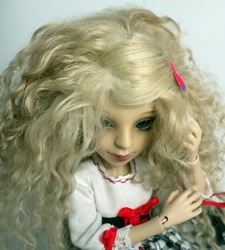 More information will be available shortly through the company’s retailer Dollfair.